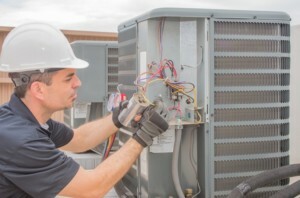 Brant Mechanical is your service expert for heating, cooling and HVAC issues. Energy efficient and low maintenance heating by circulating hot water through radiators. Brant Mechanical installs and services boilers and systems including circulating pumps. Brant Mechanical offers water heating solutions for every budget to meet your hot water demands. Natural gas, propane, electric, and tankless heaters (service) are available. Panels stored within the walls, ceilings, and floors evenly distribute infrared heat using convection to move warm air. Installation and servicing available. Heat pumps are used in conjunction with your furnace as a solution for comfortable temperatures all year round. An effective way to reduce heating energy consumption. Our licensed, professional gas fitters are equipped to work under ground or inside on any type of natural gas installation, replacement and repair, or hook-up service. Commercial heating equipment is complex and requires expertise in multi-component functionality. Get fast service for your entire system from Brant Mechanical. Service is available for heating and refrigeration for food processing, storage, manufacturing plants. We have the professional team to handle your custom system requirements. Maintaining mechanical controls for your HVAC system ensures that you’re operating at peak efficiency while maintaining proper boundaries. Maximize your heating efficiency, and trim operating costs with proactive burner services. HAVE QUESTIONS ABOUT COMMERCIAL HEATING?